When Circuit of the Americas made its debut in 2012, one of its goals was to be seen as a versatile venue for the community at large as well as visitors. Known most for its races, including the upcoming Lone Star Le Mans and of the U.S. Formula 1 Grand Prix, this latest attraction, KOOZA, sheds a new light on the venue. I had seen Cirque du Soleil shows before, but never one that took it back to its original roots under the big top by combining two circus traditions - acrobatic performance and the art of clowning. The show highlights the physical demands of human performance in all its splendor and fragility, presented in a colorful melange that emphasizes bold slapstick humor. KOOZA is inspired by the Sanskrit word koza, which means treasure, and was chosen to represent one of the underlying production concepts of a circus in a box. The show starts off with incredible acrobatic feats of human pyramids and continues to deliver dare devil stunts through the two hour performance. My personal favorite is the contortionists and their incredible display of flexible feats. Telling this entertaining story is an introverted loner seemingly attempting to find his way to adventure and his place in the world. The narrator&apos;s journey brings him into contact with comical characters such as the King, the Trickster and the Obnoxious Tourist and his Bad Dog. Between strength, humor and terrifying stunts like the trapeze and tight rope, KOOZA provides great entertainment for visitors of all ages. Parking is easy in the CoTAs Lot A which is an quick walk to the big top. If you are looking for something fun to do, I highly recommend you check out this show! Performances will run through October 8, 2015. 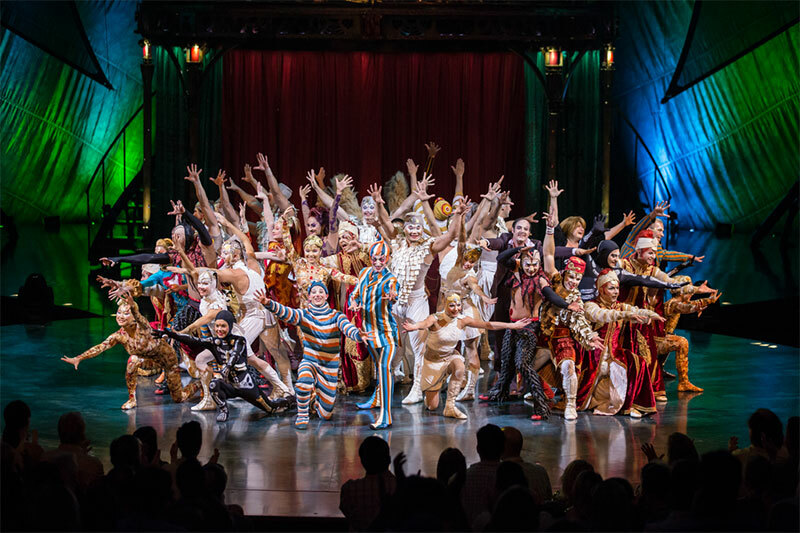 Show your favorite pics from KOOZA in the comments below with our #TrueAustin & #KOOZAATX tags!